ROBOTERRA's complete robotics package offers a full spectrum experience of learning how to build and code your own custom robot. 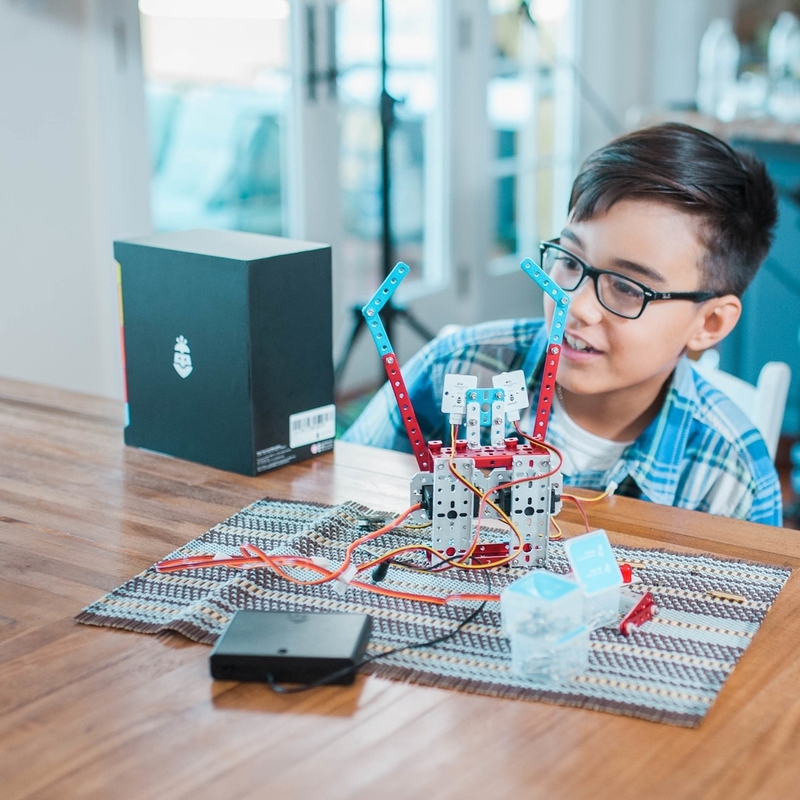 The combination of our Origin™ Kit, Castlerock™ software and Project-based learning curriculum makes it easy and fun to code and build robots. ROBOTERRA Origin Kit is a beginner-friendly robotics kit. Students between 10 to 18 are able to learn programming basics, construct their own robots and bring them to life. The Origin Kit includes all the components needed to build exciting and functional robots, including the RoboCore controller board, sensors and actuators, anodized aluminum metal parts, nuts, screws, and easy-to-use tools. Robots are brought to life by combining hardware and software, meaning that both sides must be learned at the same time. When students code in CastleRock™ (software), they are able to directly see how their code manifests in their robot (hardware) immediately. This 360º perspective of robotics demonstrates to learners how programming and mechanics are the yin & yang of engineering.